Continually evaluate and improve activities and practices to preserve and protect the environment. Employ Responsible and sound methods of pollution prevention. Foster Employee awareness and sensitivity as stewards of the environment. Ensure a Safe and secure environment for employees and the community. Green Marine is a voluntary environmental certification program that is third-party audited and encourages continuous improvement in environmental performance and community impact management. Port NOLA joined Green Marine as a member in 2014 and earned certification in 2015. The Port provides annual evaluation reports and is audited by an independent party every other year to maintain certification. Green Marine is a comprehensive environmental program that provides frameworks for shipping companies, terminal operators and ports to voluntarily reduce their environmental footprints. For ports, Green Marine measures several performance indicators, including: community impacts, environmental leadership, air quality and greenhouse gas emissions, spill prevention and storm-water management, underwater noise, and waste management. Port NOLA’s commitment to sustainability and environmental responsibility is further evidenced by the service of Brandy D. Christian, our President and CEO, on the Board of Directors for Green Marine. This program is made possible with funding by the U.S. Environmental Protection Agency (EPA) and the Louisiana Department of Environmental Quality. The Port of New Orleans received competitive grants to provide truck replacement rebates supporting our local Port trucking industry, helping reduce local air emissions, and increasing reliability and efficiency of on-road goods movement. The Port Inner Harbor Economic Revitalization Plan (PIER Plan) is an opportunity for the Port to revitalize its Inner Harbor, creating a new economic vision for this corridor through new job creation and job connections, increasing commerce and industrial viability. The project area includes the entire Inner Harbor, with catalyst sites for focused planning — two portions around the Florida Avenue Turning Basin and the property at 7300 Jourdan Rd. — shown in this area map. This project has been made possible through a two-year U.S. Environmental Protection Agency (EPA) Brownfields Area-Wide Planning grant, awarded in 2017. Planning efforts are expected to be completed in 2019, along with an implementation strategy that will help identify the best ways to turn the plan into tangible actions. Strides have been made to catalog what is known about Inner Harbor properties, and we are continuing to gather input from our stakeholders —current businesses, economic and development entities, NGOs, community leaders, other agencies and elected officials. Together, we are identifying the most efficient economic, environmental and infrastructure improvements for the area through engagement with the community. 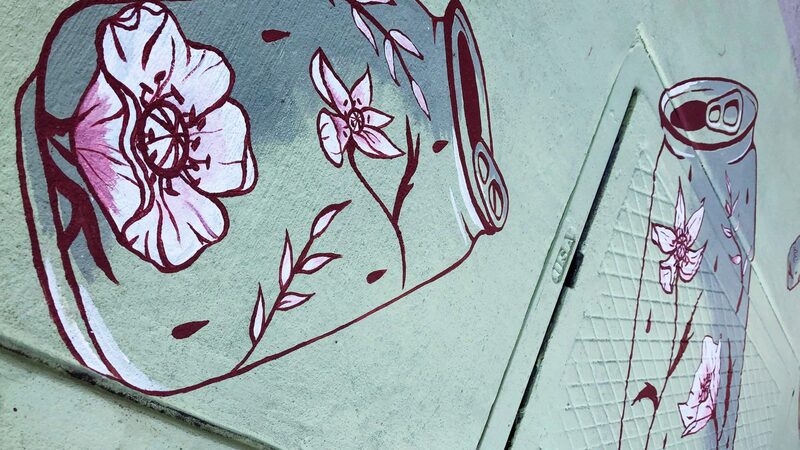 The Port of New Orleans has provided leadership for this regional community initiative to install public artwork around storm drains and catch basins for clean water. The purpose of By-You Drainscapes is to engage and coordinate citizens, artists, students, governmental agencies, businesses and community organizations in the Greater New Orleans Region to enhance public awareness and water literacy through highly visible storm drain artwork in public places. In collaboration with the U.S. Environmental Protection Agency (EPA), Port tenants and community stakeholders, Port NOLA is working to address the fundamental issue of trash, litter and debris. Through this program’s efforts, the Board adopted a Trash Free Waters Commitment in 2015 and has prevented over 35,000 pounds of litter from reaching our waterways to date. Port NOLA is committed to reducing litter along all of its roadways and terminals and coordinating with stakeholders to make ongoing improvements. Port NOLA organizes annual Earth Day volunteer events with our team members, Port tenants and operators, and partner organizations to improve our communities and the environment. Port staff have helped to build gardens, plant trees, clean up the Pontchartrain lakeshore and pick up trash near the Inner Harbor. If your organization has an Earth Day opportunity you would like to share with the Port, please email Emily Federer at emily.federer@portnola.com. In New Orleans, we like to “Let the good times roll,” but we know the importance of cleaning up after the party. Port NOLA engages its staff, tenants and neighbors to recycle Mardi Gras beads each year. The beads are collected and reused by ARC of Greater New Orleans, an area nonprofit that cleans, sorts and resells the beads to parade groups as a source of revenue. Since the program’s inception, Port NOLA has recycled over two tons of beads and throws. C’est bon!